Random Thoughts of Gil Camporazo: Sheehan and Austria: Job Well Done, Lord! Sheehan and Austria: Job Well Done, Lord! They walk two by two in every nook of the world. Who are they? They are the LDS missionaries who embark in serving at the Lord's vineyard for 18 months for the female and 2 years for the male members. Missionary work plays a vital role in the spreading of the Gospel of the Lord in this dispensation of time. And missionary work is one of the three-fold missions of The Church of Jesus Christ of Latter-day Saints. 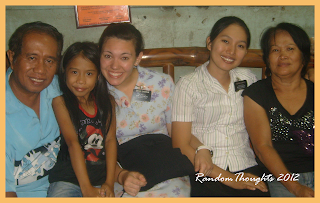 Sister Sheehan of West Valley City, Utah, USA and Sister Austria of Dagupan City, Pangasinan, Philippines are missionaries. They heeded the call of the Lord of finding those lost sheep and bring them back to the Lord's fold. Sheehan accepted the call for she wanted to follow the example of her friend who was also presently in a mission. She belong to Hunter ward back home in Hunter North Stake. While Austria filled up a mission for she wanted to set a good example to her family as being obedient to the call of the Lord to preach the gospel to all tongues, kindred and nations. 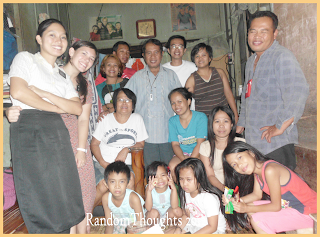 Dagupan 6th ward was her homeward at Phils Stake, Phils Urdaneta Mission. Both of them are serving for eighteen months. They teach by the Spirit of truth. Presently they are assigned here in La Carlota.They are primarily to do proselyting, teaching the basic gospel principles to those investigators. However in one of 2012 Philippines Area goals is to "rescue the one", they are tasked to give priority reteaching the less active members. They will help new members progress towards receiving temple ordinances. They are charged to stay close to the new members and be their advocates to Priesthood leaders. 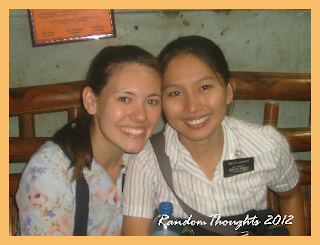 These lady missionaries are exemplifying the parable of the lost coins. Finding those members who have gone astray are the center of their effort. These tasks for them are not easy. They have to take a lot of their patience. The type of members they are going to "rescue" are the less active, the inactive and the active. I'm sure that Sister Sheehan and Sister Austria with their strong faith they could do it. And after their mission, they could humbly say for themselves, a job well done, Lord. So be it! Sister Sheehan will be home by March, next month and Sister Austria by July this year 2012. This evening they join with us with our family home evening. This is an inspired program of the Church, which is usually held every Monday evening. All of my family members participated by sharing talents, by expressing their spiritual insight on the video on families which Elder Dallin Oaks of the Quorum of the Twelve. I said my family is complete though our eldest son, Dondon is in Mindanao, yet he joined with us by calling from his handy phone, sharing his concern for his other 5 siblings like Dona, Gingging, An-an, Gigi, and Toto Jun by giving each a bit of spiritual counsel. And also he relayed his concern for us, his parents that we are going to take care of ourselves for we're already in our senior age. His primary concern is that everyone should stay close to the Church and be in the Church every Sunday for he knows the Church is true. Our son-in-laws, Almon Tolones who is Dona's husband, and Stephen Jaud, who is An-an's hubby were there too. Bulaklak, Adgel, Panie and Bryan, our grandchildren contributed their special talents. Sharing talent is one of the part of the FHE program. Scripture reading or sharing scripture thoughts also spiritually enriched the 2-hour family activity. I do appreciate the scarifies they made to serve in a mission to spread the gospel of Jesus Christ.and be a part of it and were happy for spending some times together with our family to held family home evening in our home.Thank you and continue such marvelous work. it's really great and overwhelming to meet people like them who offer their lives to missionary work.. they are the real living saints! one of our inborn mission is to spread his will through his words... more power. Yahweh bless. it takes a lot of courage, sacrifice and faith to be missionaries. good luck to sisters Sheehan and Austria! Sir GIl, i must also commend ur family activity (FHE) i can see that everyone is so committed. keep it up! Addtional dedications. Dedicated people like them are inspiring. Blessed them and Gob bless you too Sir Gil and the rest of your family. Palakpalakan po para sa kanila. They are the shepherd of the Lord. They spread the good word and help those who have lost their way. At ang galing naman ng FHE.. Everyone participated. You have a great family, sir. It's always good to share our blessings and heed to the call. Many are called but few are chosen. I am inspired by those who have the courage to take the road less traveled. It's great to know of young individuals who do works for the glory of God. I have watched a movie recently entitled "The Other Side of Heaven" which about an LDS missionary. Such a great film. 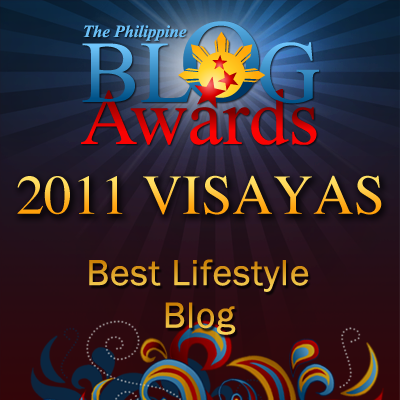 Sheenah and Austria must see it to inspire them more. How inspiring is their calling!